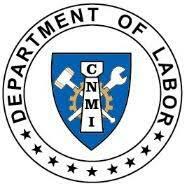 Under the newly enacted U.S. Public Law 115-218, the CNMI must produce an annual prevailing wage survey and all applications for CW-1 (CNMI-Only Transitional Worker) visas must pay the prevailing wage for the occupation being petitioned. Your participation in this survey will allow for an accurate picture of wages in the CNMI and assist in growing our economy. Without a 2019 CNMI prevailing wage for occupations, employers must use the prevailing wage rate of Guam for all CW-1 petitions. We ask that all employers in the CNMI fill out the attached template with the required employee and wage data and submit this form to the CNMI Department of Commerce, Central Statistics Division. For the 2019 Prevailing Wage Survey form, please click here. The 2019 Prevailing Wage Survey was conducted in partnership with the CNMI Department of Labor, the CNMI Department of Commerce, and the CNMI Office of the Governor.